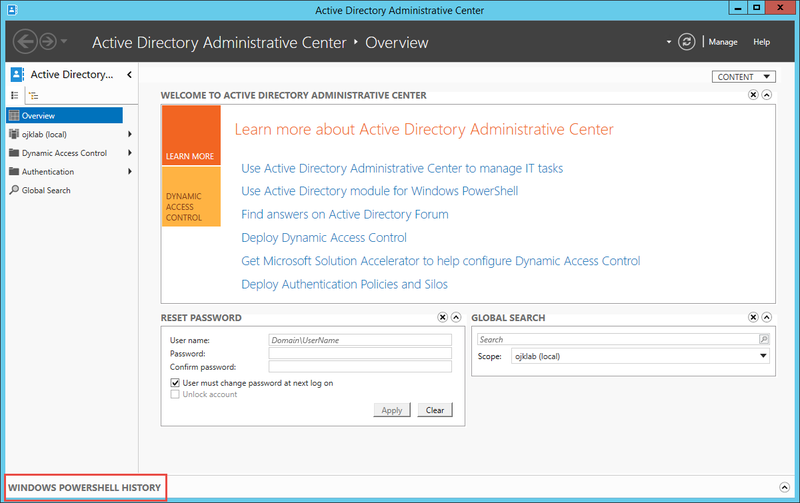 Active Directory Administrative Center was introduced with Microsoft Windows Server 2008 R2, but was extended with a very useful new feature with Microsoft Windows Server 2012. This feature is called Windows PowerShell History Viewer and it’s quite a useful feature. Read on to learn more! 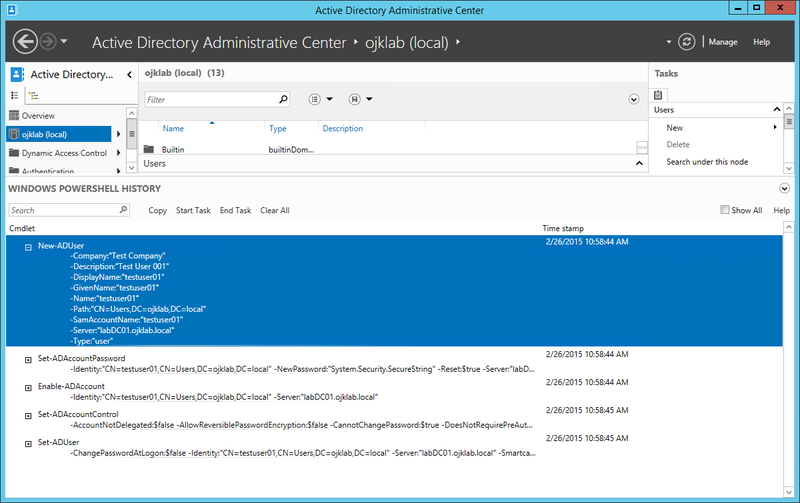 If you are new working with Active Directory through PowerShell and needs a quick start, using the PowerShell History Viewer in Active Directory Administrative Center is a wonderful way of learning how to perform tasks in Active Directory using PowerShell. If you open ADAC on a Server 2012 server, the PowerShell History Viewer is located at the very bottom of the window (minimized by default). If you perform any task in ADAC, you can expand this to get the PowerShell commands needed to do the same. Pretty nice, eh? Here I have created a test user in ADAC, and having expanded the PowerShell History window, I can see all the commands needed to duplicate my efforts using PowerShell instead. Using this, you can now leverage the power of PowerShell to automate this task the next time you want to perform it. It can also be useful if you just want to see how it can be done using PowerShell instead of the GUI interface.